Escape From New York Pizza-San Francisco's best pizza delivery! Please update or change your browser for full site. 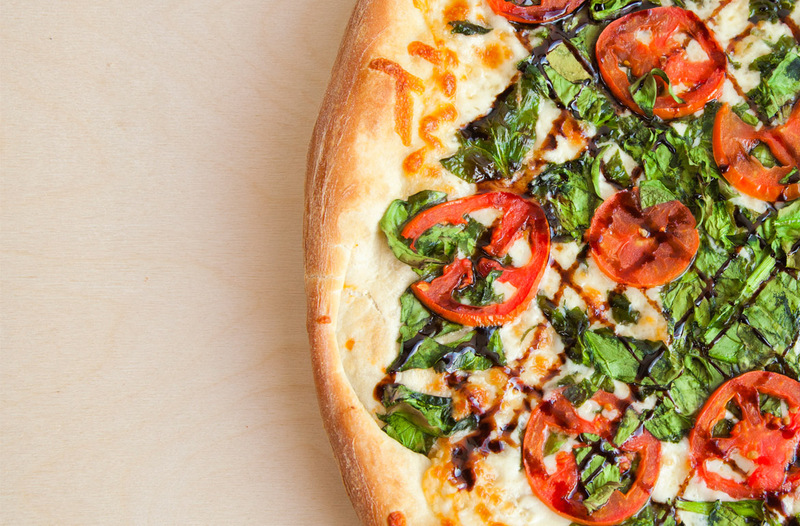 The best pizza delivery in San Francisco- Order online now for fast, free delivery! Not found in New York! No tomato sauce...just cheese, basil, tomatoes & garlic-delicious! 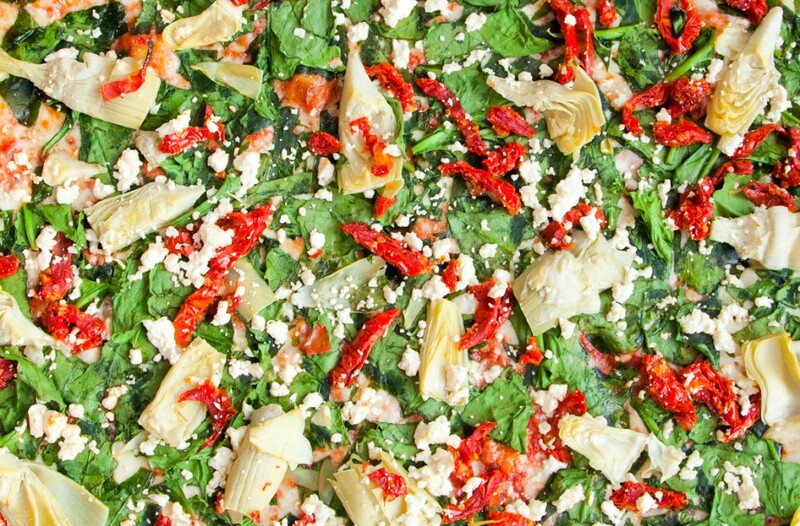 Artichokes & Tomatoes - Great! Escape from New York Pizza contains only the finest ingredients. There is no artificial anything! 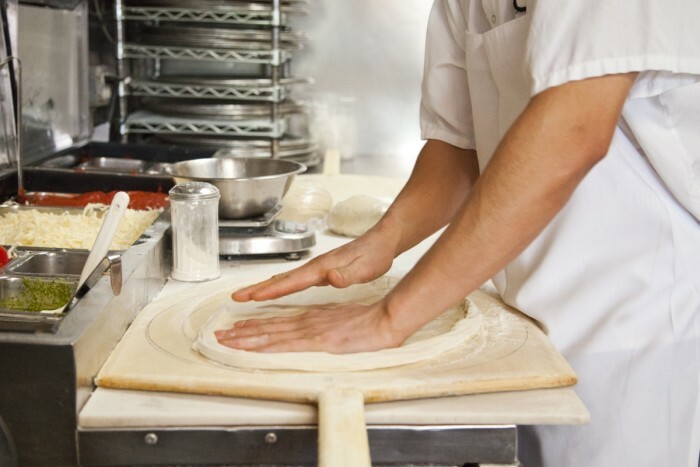 We make our dough from unbleached flour, use whole milk mozzarella cheese, and our produce is fresh cut daily. You can taste the quality difference! Just like the Caesar salad - with chicken. *We will prepare and bake the gluten free pizza with as much care and separation from the gluten filled world of our kitchen as possible, however we are not a gluten free environment, so those allergic to gluten should not order. This page is for the Escape From New York Pizza menu. There are six locations in San Francisco, California. The menu can be seen on this page. The menu can be printed. We do pizza delivery in Soma and Mission. We do pizza delivery in Castro and Haight. We do pizza delivery on Bush St. and Polk St. All are in San Francisco. We have free pizza delivery to close neighborhoods. Most stores are open seven days a week. Stores do pizza delivery to the nearby areas. We do pizza delivery to parts of San Francisco. We do pizza delivery to Dogpatch and Potrero. We do pizza delivery to Mission Bay and Downtown. We do pizza delivery to the Financial District. We do pizza delivery to Haight and the Panhandle. We do pizza delivery to the Sunset and Richmond. We do pizza delivery to Pacific Heights, Marina, and North Beach. We do pizza delivery to Castro and Twin Peaks. We do pizza delivery to Eureka and Mission Dolores. We do pizza delivery to Bernal and Glen Park. We do pizza delivery to Noe Valley and Nob Hill. Find your store online or call to order. Call or check online to see if we do pizza delivery to your address. All our pizza deliveries are made to order. We can make different halves for your pizza delivery. Each half can have different toppings. You can see topping choices on the printable menu. We offer many choices of vegetable, meat, cheese, and sauce options to give you the best pizza delivery in San Francisco! The menu for Escape From New York Pizza has the best fresh pizza daily. It is always hand made. We use only fresh ingredients. 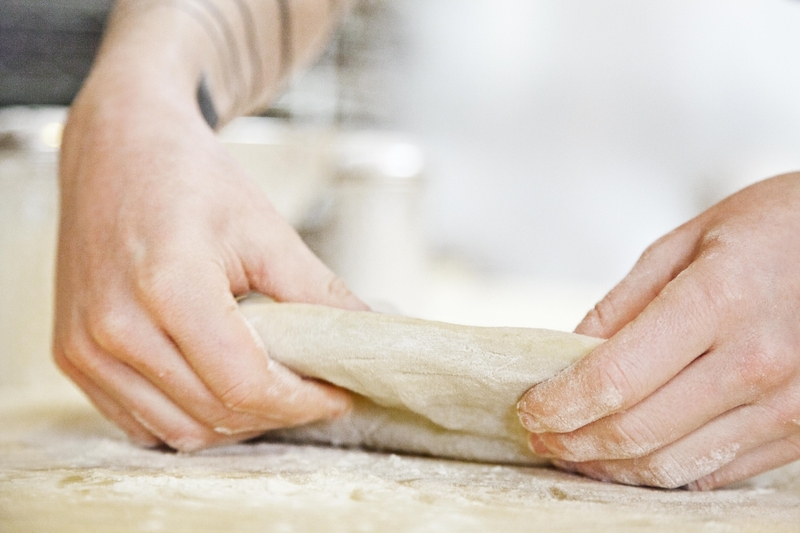 Our pizza dough is hand made and vegan. Your pizza will always be fresh. We prepare our ingredients daily for the best quality. This store offers pizza by the slice. You may also dine-in or takeout in SF. There are seven choices daily. 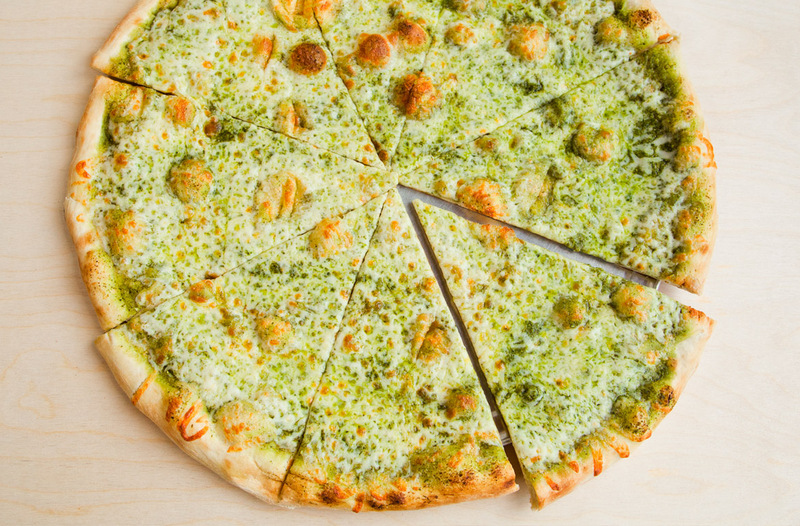 Our pesto sauce is made with olive oil, basil, and parmesan cheese. It is not made with pine nuts. It is not made in a facility that has nuts. 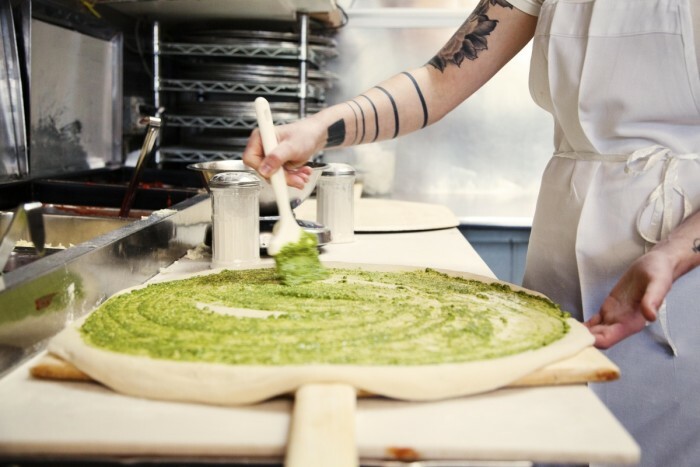 There are no nut allergies with this pesto sauce. The sauce is not vegan, but it does include cheese. This store is now serving hot chicken wings. It comes with ranch or blue cheese. We are able to deliver this with pizza. We are also now serving a gluten-free crust. You can choose gluten-free crust when ordering a medium pizza only. Escape From New York Pizza will cater. We are able to make large delivery orders for your office or party. We can do pizza delivery on large orders in the Soma and Downtown area in SF. Make your fast and free delivery order from the online menu for Escape From New York Pizza today. You can also find us on Instagram, Facebook, and Twitter @efnypizza. Find this by clicking the links below. If you have any questions regarding special events, charity, or if you would like to reserve our Bush St. location for a private event or pizza party please contact us at events@efnypizza.com. If you are interested in ordering a pizza delivery in advance for a group function or large party, please order on-line, call your nearest location, or email catering@efnypizza.com. We welcome your comments, suggestions or questions about our food, stores, and services. We'd love to hear from you! This is the home page for Escape From New York Pizza. We have pizza delivery from six locations in (SF) San Francisco: The Haight, Castro, Mission, Polk St., Soma, and the Financial District. We do delivery in San Francisco (SF). We do delivery pizza to Dogpatch and Potrero in SF. We do delivery pizza to Mission Bay and Downtown in SF. We do delivery pizza to the Financial District in SF. 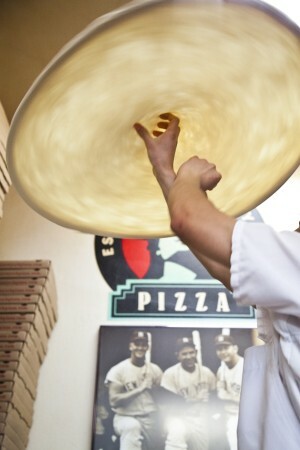 We do delivery pizza to Haight and the Panhandle in SF. We do delivery pizza to the Sunset and Richmond in SF. We do delivery to Pacific Heights, Marina, and North Beach in SF. We do delivery pizza to Castro and Twin Peaks in SF. We do delivery to Eureka and Mission Dolores in SF. We do delivery to Bernal and Glen Park in SF. We do delivery to Noe Valley and Nob Hill in SF. Find your store online or call to order. Call or check online to see if we do delivery to your address in (SF) San Francisco. Our Financial District store is on Bush St. in San Francisco. It does delivery to the Financial District in San Francisco. Our Soma store is on Harrison St. in San Francisco. It does delivery to the Soma area in San Francisco. Our Mission store is on 22nd St. in San Francisco. It does delivery in the Mission in San Francisco. Our Russian Hill store is on Polk St. in San Francisco. It does delivery to the Russian Hill area in San Francisco. Our Castro store is on Castro St. in San Francisco. It does delivery to the Castro in San Francisco. Our Haight store is on Haight St. in San Francisco. It does delivery to the Haight area in San Francisco. All our deliveries are made to order in (SF) San Francisco. 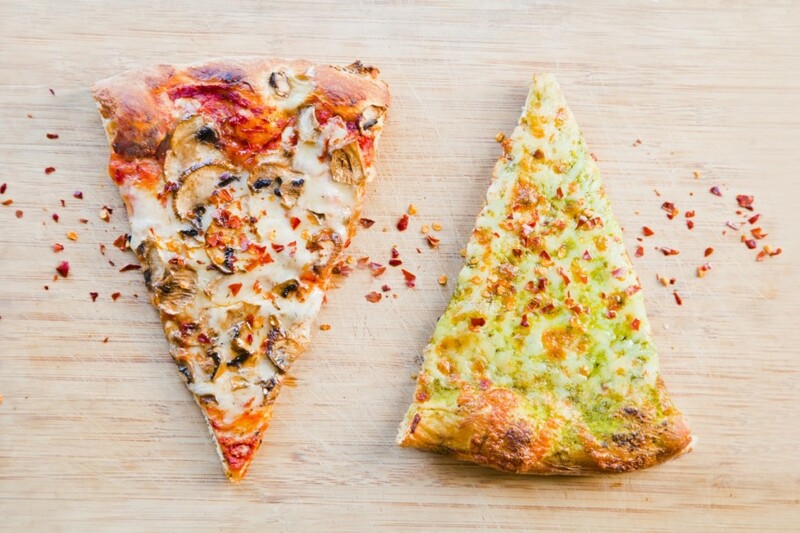 We can make different halves for your delivery pizza. 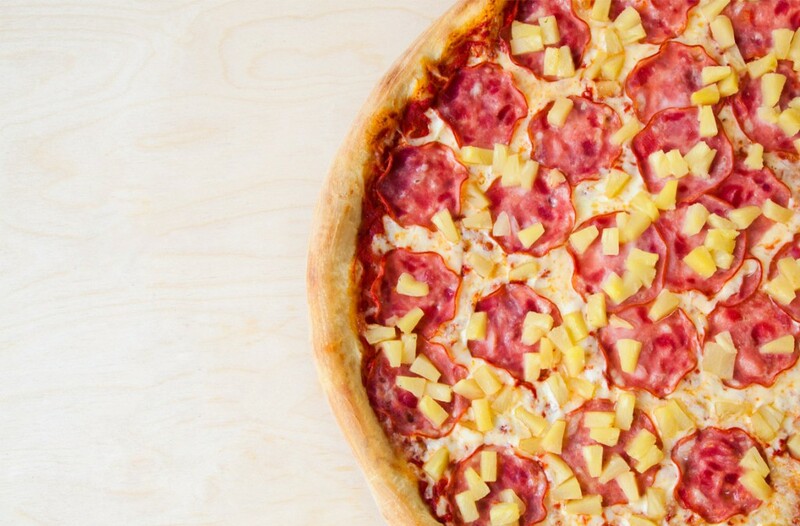 Each half can have different toppings. You can see topping choices on the printable menu. 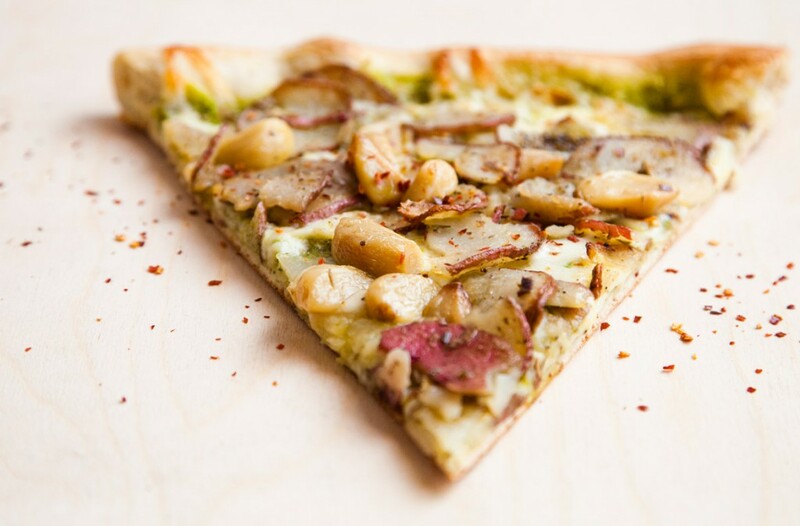 We offer many choices of vegetable, meat, cheese, and sauce options to give you the best pizza in San Francisco (SF)! We deliver pizza to 94133. We deliver pizza to 94109. We deliver pizza to 94123. We deliver pizza to 94115. We deliver pizza to 94117. We deliver pizza to 94122. We deliver pizza to 94102. We deliver pizza to 94111. We deliver pizza to 94108. We deliver pizza to 94114. We deliver pizza to 94103. We deliver pizza to 94131. We deliver pizza to 94110. We deliver pizza to 94105. We deliver pizza to 94107. The menu for Escape From New York Pizza has the best fresh pizza daily. It is always hand made. We use only fresh ingredients. Our pizza dough is hand made and vegan. Your pizza will always be fresh. We prepare our ingredients daily for the best quality. This store offers pizza by the slice. You may also dine-in or takeout. There are seven choices daily in (SF) San Francisco. This store is now serving hot chicken wings. It comes with ranch or blue cheese. We are able to do delivery with pizza in (SF) San Francisco. We are also now serving a gluten-free crust. You can choose gluten-free crust when ordering a medium pizza only. Escape From New York Pizza in the Financial District can be rented. 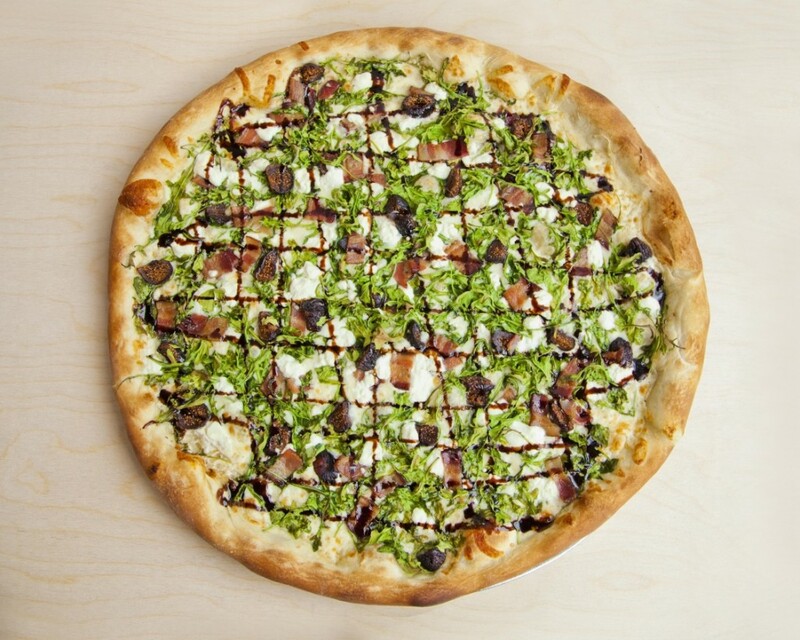 Plan your next pizza party or event with us! We can also cater. We are able to make large delivery orders for your office or party in (SF) San Francisco.